Our exhibition 'Three Pilots – One War' provides the unique insight into the everyday lives of three men from three different countries who served in their respective air forces during the First World War. This exhibition has inspired a programme of live dance performances by Middlesex University BA Dance students - 'Read Between the Lines'. 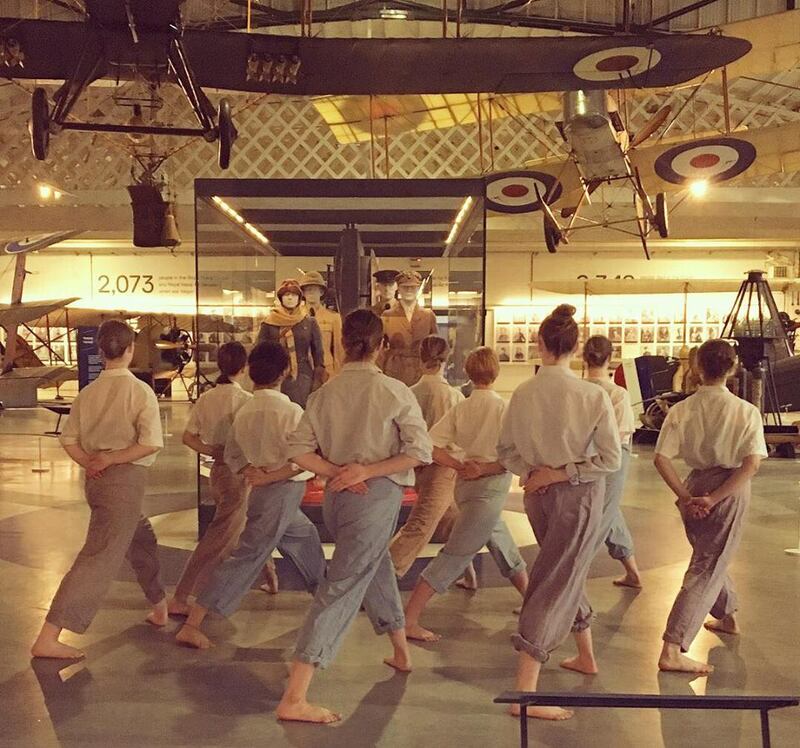 These free live dance performances will take place in out First World War in the Air Gallery. Inspired by the letters of these British, German and French pilots, the piece explores the opposing emotions found within their letters home. Choreographed by Christina Binney in collaboration with the dancers. Each performance will start at the above times around the interactive map and end in front of the Wall of 100 Faces.